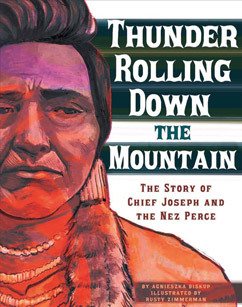 My graphic novel about Chief Joseph, a leader and spokesperson for the Nez Perce, who tried to bring his people to freedom in Canada. Published by Capstone Press. This entry was posted in books, children's. Bookmark the permalink.